You are an extraordinary person. All your decisions are hard to predict and you never follow the crowd. You always look for an idea to break stereotypes and surprise everyone around you. If that sounds like something that describes you, here are some crazy ideas that can add special atmosphere to your wedding celebration. Most of the weddings stick to the same scenario and décor. But you want your celebration to be remembered. Well, let’s start breaking the rules of a traditional wedding ceremony. What does a usual reception look like before a ceremony? Guests in expensive dresses and suits proudly enter the ceremony place. It looks so dull and quiet. Well, how about some physical training? Because you have wonderful child memories related to a trampoline at the backyard. And you want it to attend the wedding ceremony as well. Since this moment none of your guests is going to doubt about lack of fun this day. Usually the wedding day represents a challenge for groomsmen and bridesmaids. Come on, are they your best friends or your loyal servants? 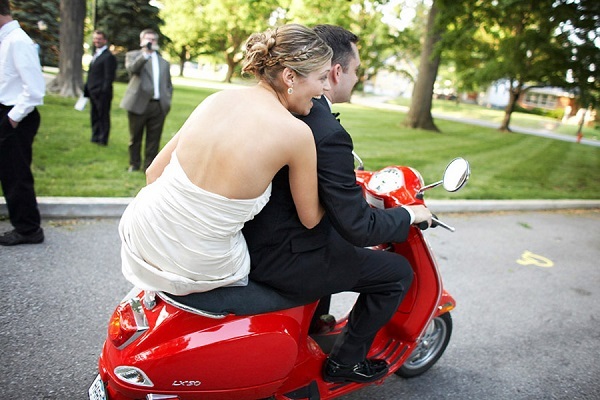 They should have as much fun as all the rest of your guests along with all their duties. Wedding place is big enough to play a football game or soccer. Of course you are free to choose any other game you fancy. I’m sure that all guests would be delighted to bet if Bride’s team or Groom’s team will win a game. A wedding party is not just any kind of a party. And no one is allowed to come without a mask. Masquerade costumes, hats, boas, and make-up are welcome. Wedding carnival is officially open! You had to invite some serious people to your wedding and they’re not interested in childish stuff like a soccer game or carnival they might appreciate drama and challenge. Enjoy running noble risk without actual harm. Invite your guests to a poker table. You may even hire a croupier for that. 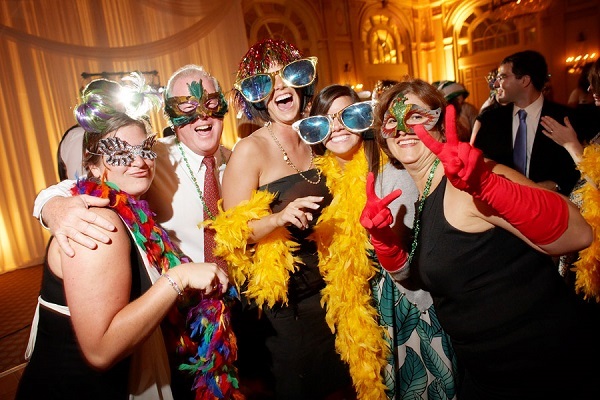 Of course, there are much more ways to go crazy on your wedding in a good way. Just let your brilliant imagination work for this. And never be shy to bring your ideas to reality.